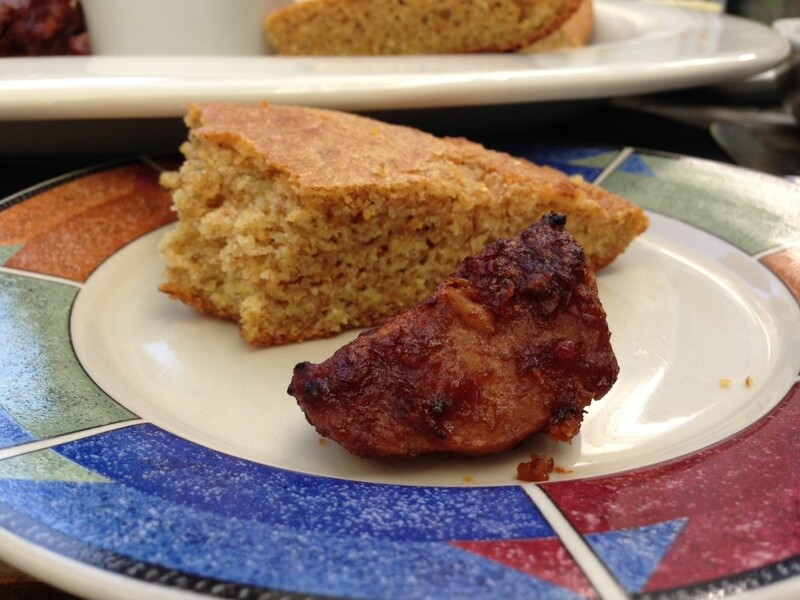 Served with a slice of my classic skillet cornbread in the photo above. 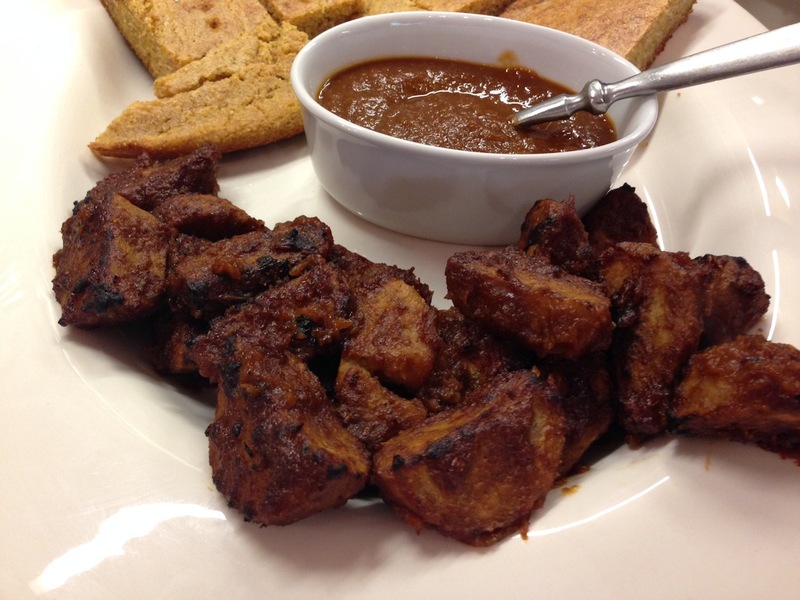 I came up with the concept for BBQ chicken wing style seitan around the same time I wrote the recipe for my seitan brisket. I’d been doing a lot of research and experimentation with vital wheat gluten (VWG) and wanted to try it in a few different dishes. When it comes to homemade seitan I have good and bad news. The good news is that you can manipulate the VWG in a number of ways, and have unlimited options when it comes to seasoning. VWG doesn’t naturally have much flavor, so you can get pretty creative. The bad news is that it takes a long time to make. 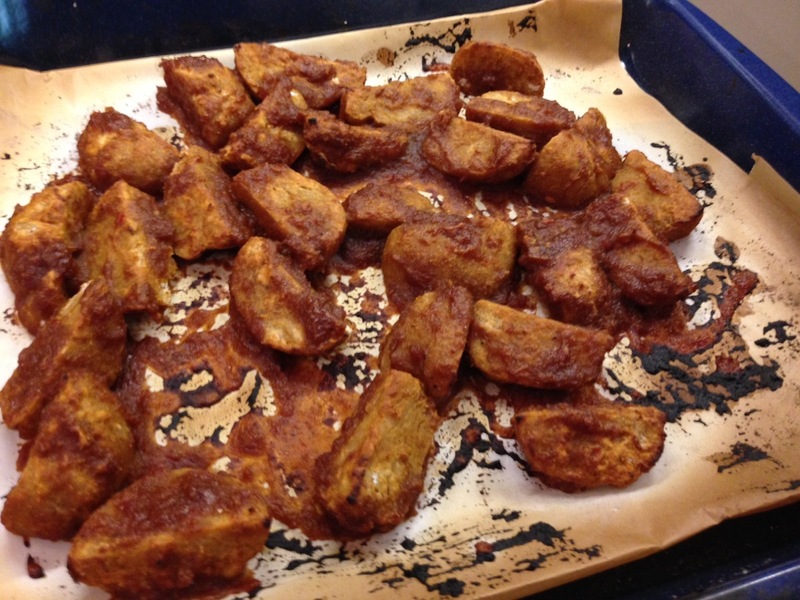 You could take short cuts, but for a quality homemade seitan dish you’re looking at three hours or more of cook time. 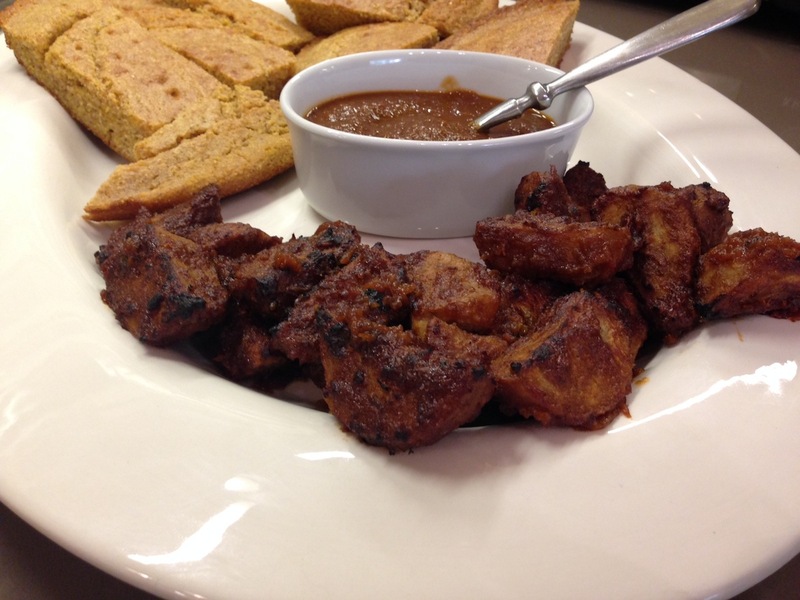 There are two key ingredients that you’ll need in order to give you seitan a chicken like flavor. The first is poultry seasoning, which is actually just a blend of thyme, sage, marjoram, rosemary, black pepper, and nutmeg. 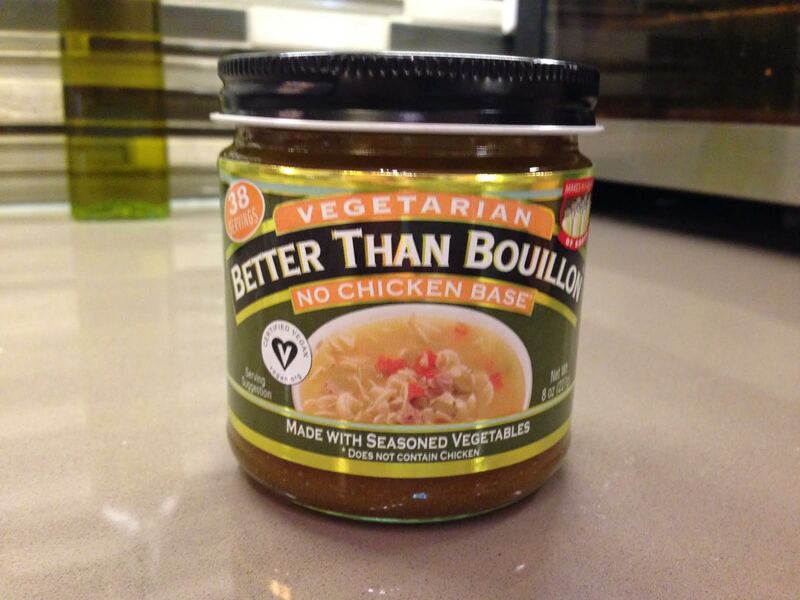 The second is a good vegetarian chicken flavored bouillon base. My favorite is Better Than Bouillon brand No Chicken Base (pictured below). 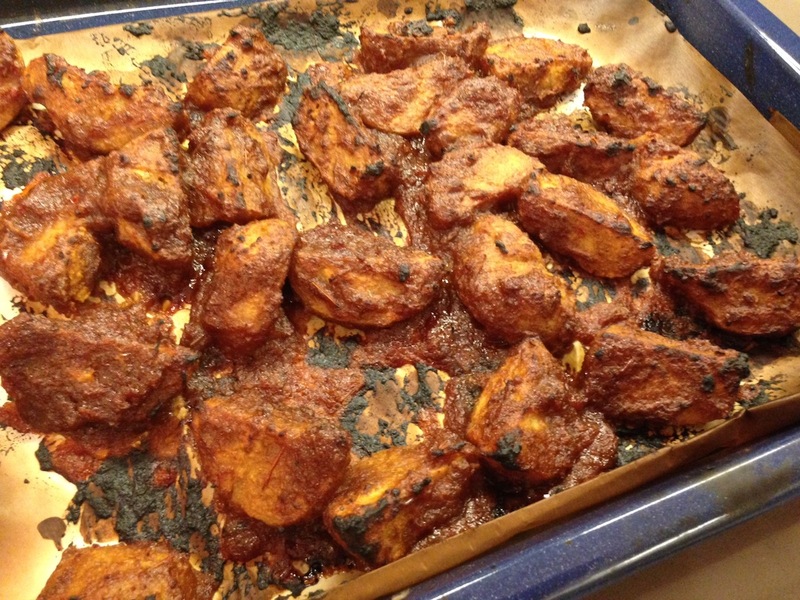 It’s available at Whole Foods, and is essential for this BBQ chicken wing style seitan recipe. 1. 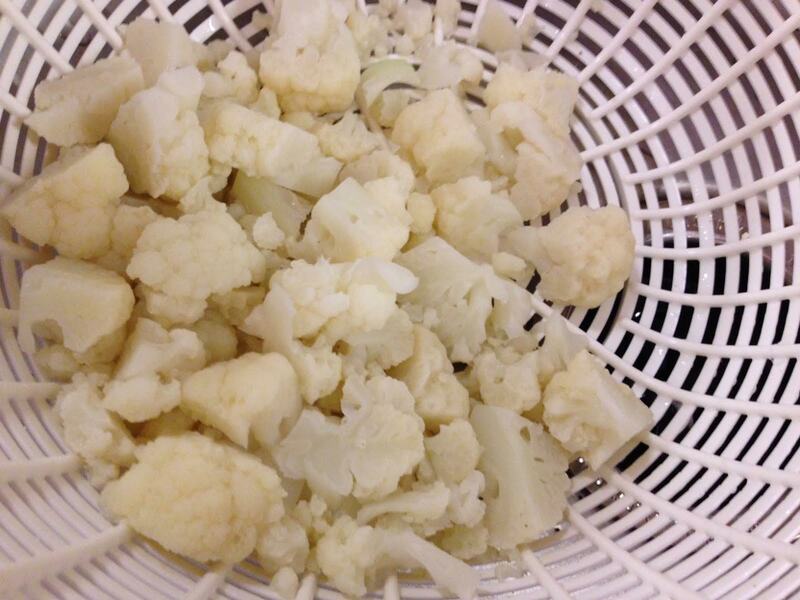 Break down about half a cauliflower into small pieces. Cook in heavily salted water until tender, strain, rinse, and let cool. 2. 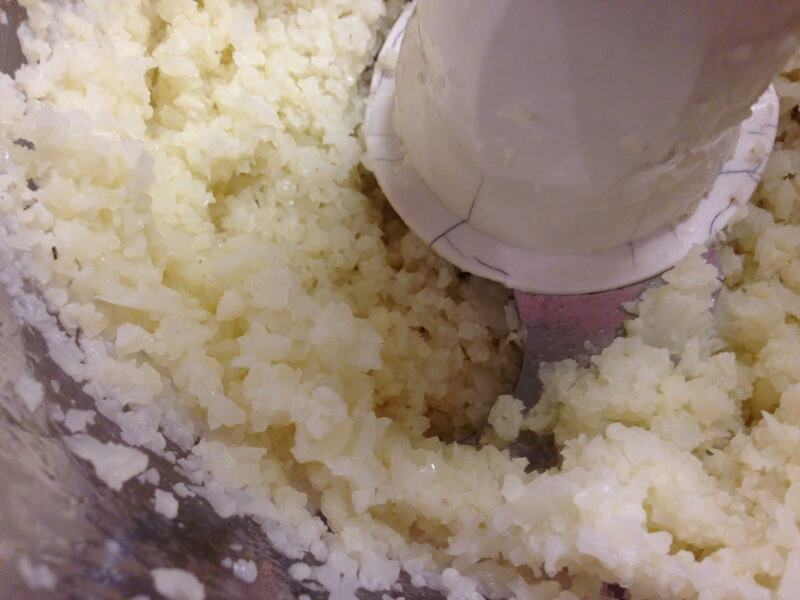 Place cooked cauliflower into a food processor and pulse a half dozen or so times until your have rice sized pieces. 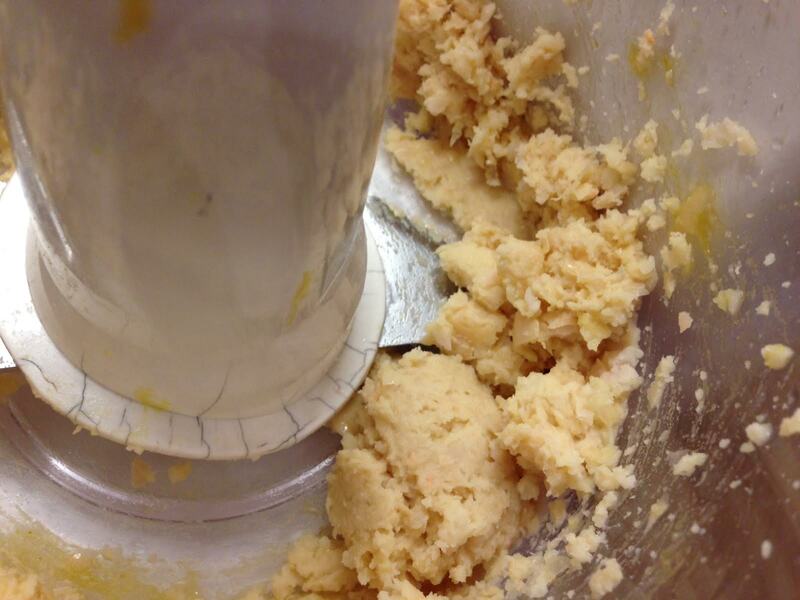 Transfer to a bowl and wipe our the inside of your food processor. 3. 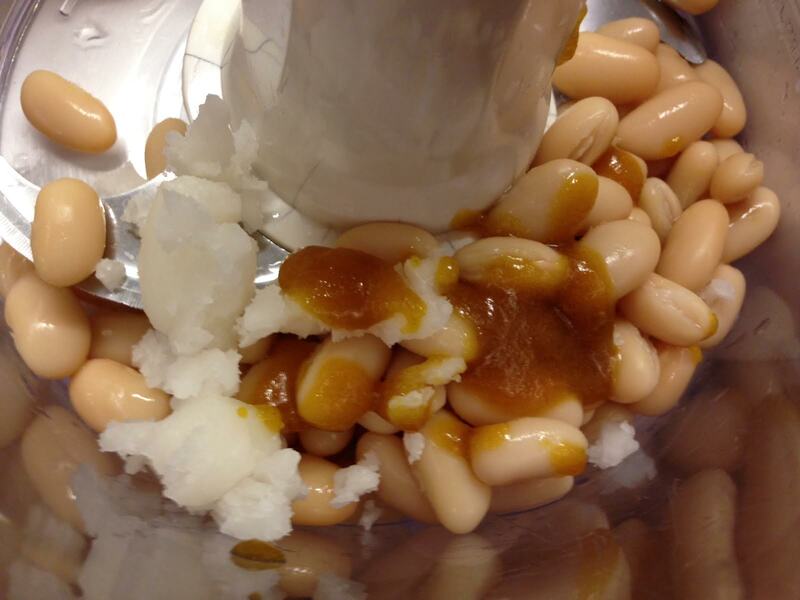 Combine white beans, coconut oil, and No Chicken Base, and process until you have a smooth paste. 4. 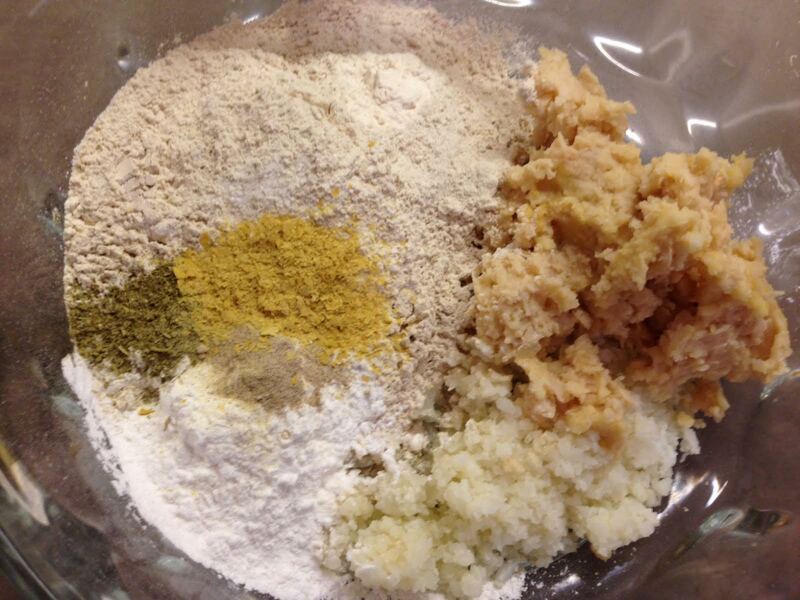 In a separate bowl, combine vital wheat gluten, tapioca starch, onion powder, salt, poultry seasoning, and white pepper. Mix, then add cauliflower rice and vegetable broth. 5. Mix the seitan with a fork, then with your hands. You can’t really knead the seitan like you would with a flour dough, but you do want to transfer it to a clean surface and work it a bit. I’ll usually fold mine in half, then press down, rotate, and repeat for about 3 minutes. 6. 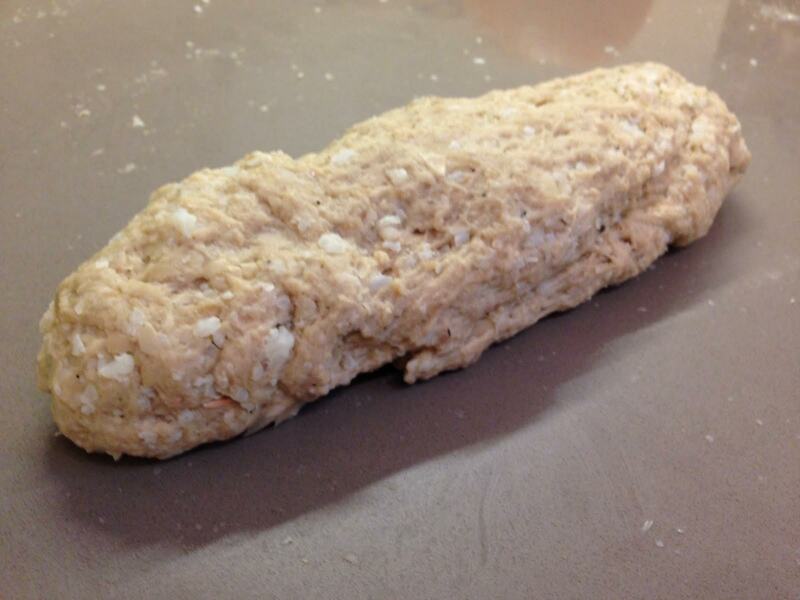 Stretch the seitan out into a log, then rip it into 6 equally sized pieces. 7. 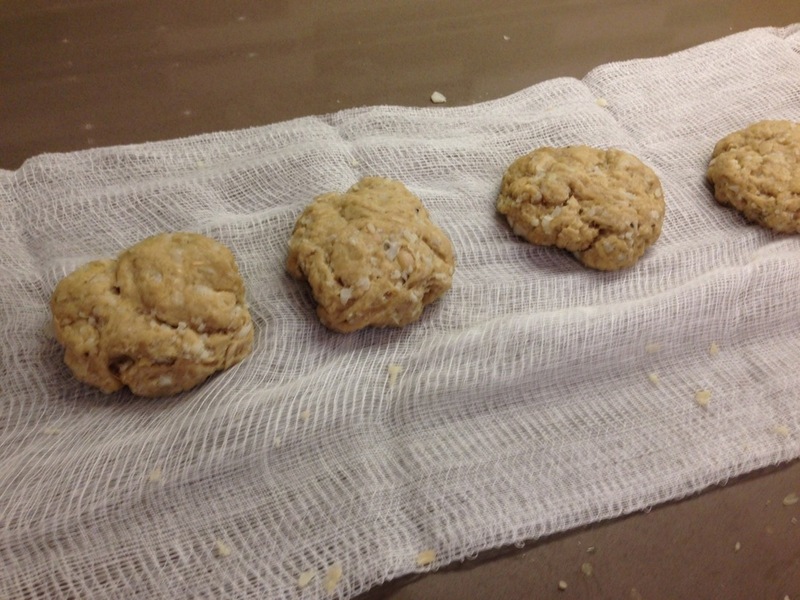 Roll out about 4 feet of cheese cloth, then place your seitan balls about an inch and a half apart. 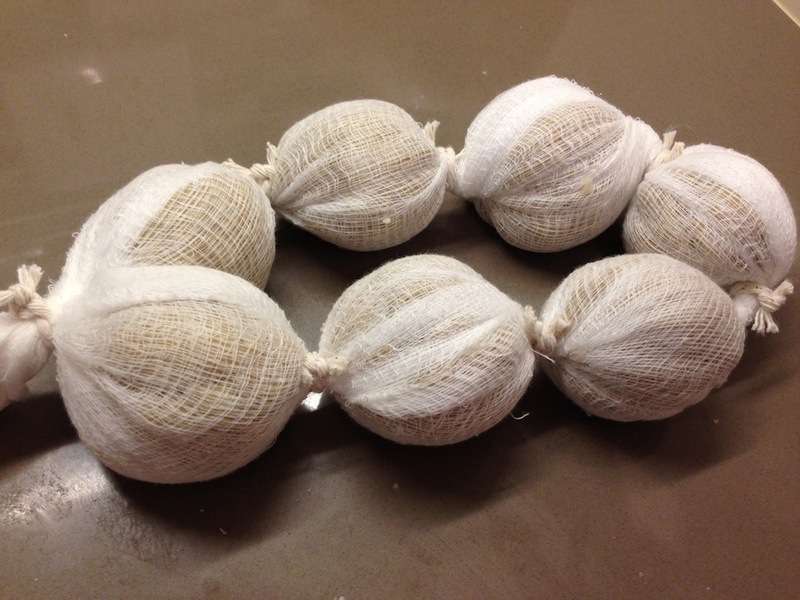 Wrap the cloth around the balls, then twist from one end until the balls are tightly wrapped. 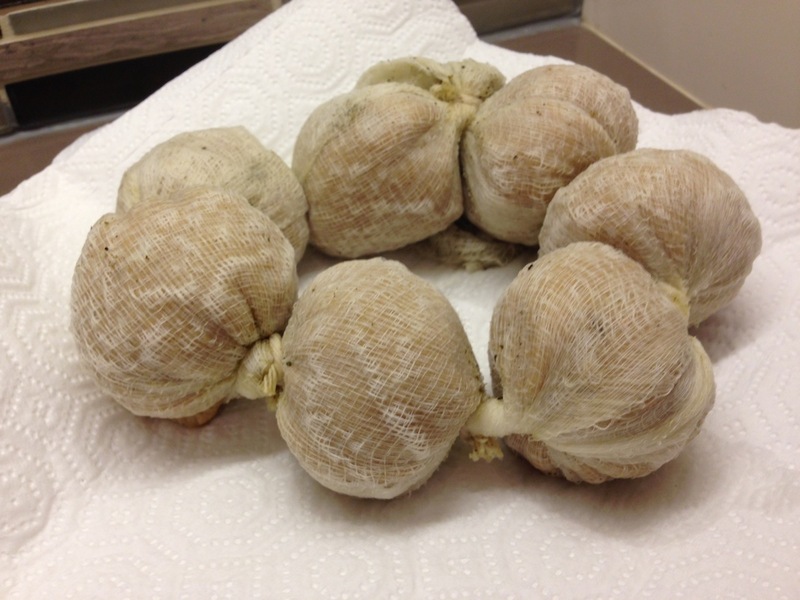 Use a bit of string, and tie a knot between each ball to keep the cheese cloth secure. 8. 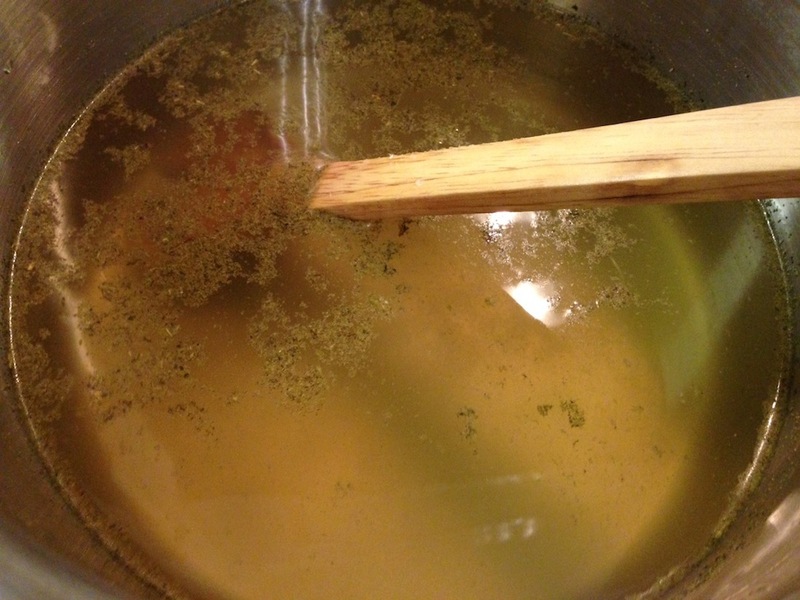 In a large soup pot combine veggie broth, water, kosher salt, liquid smoke, and poultry seasoning. 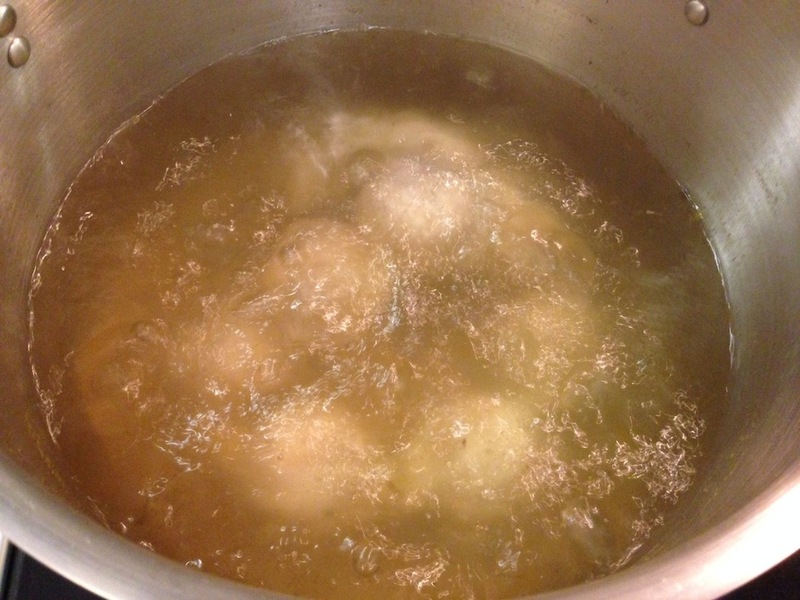 Once boiling, slowly lower your seitan cheese cloth string of balls into the liquid. 9. Bring back to a boil, then cover, reduce heat to medium low and let simmer for 35 to 45 minutes. 10. 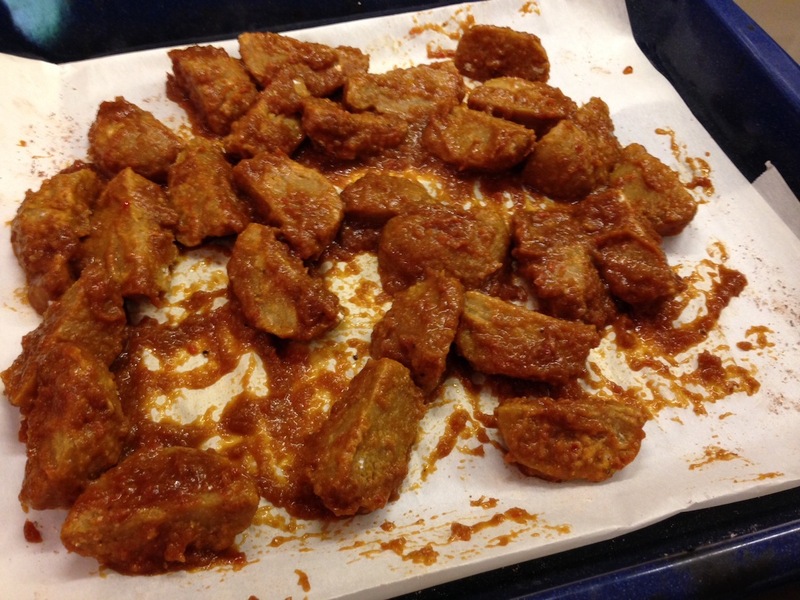 Remove seitan from water, and place it on a stack of paper towels. Let dry for at least 30 minutes at room temperature. 11. 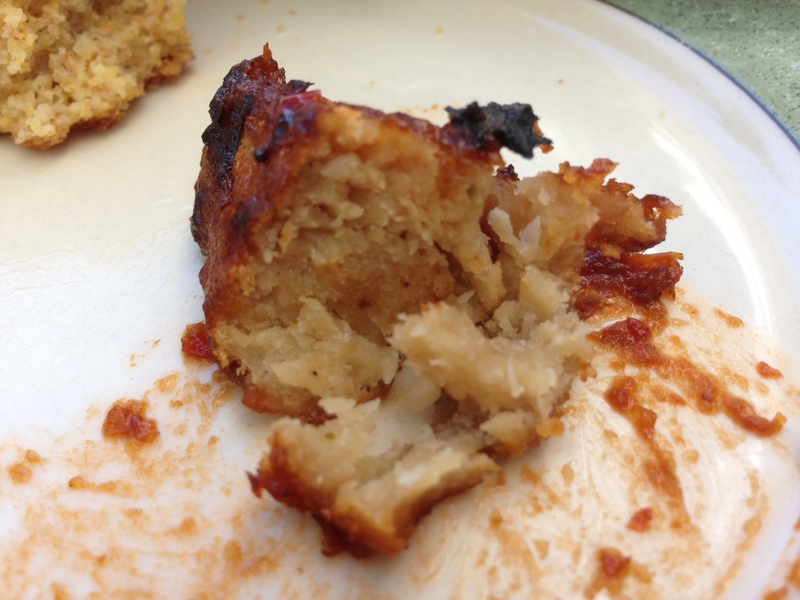 Cut away cheese cloth and slice seitan balls into quarters. 12. 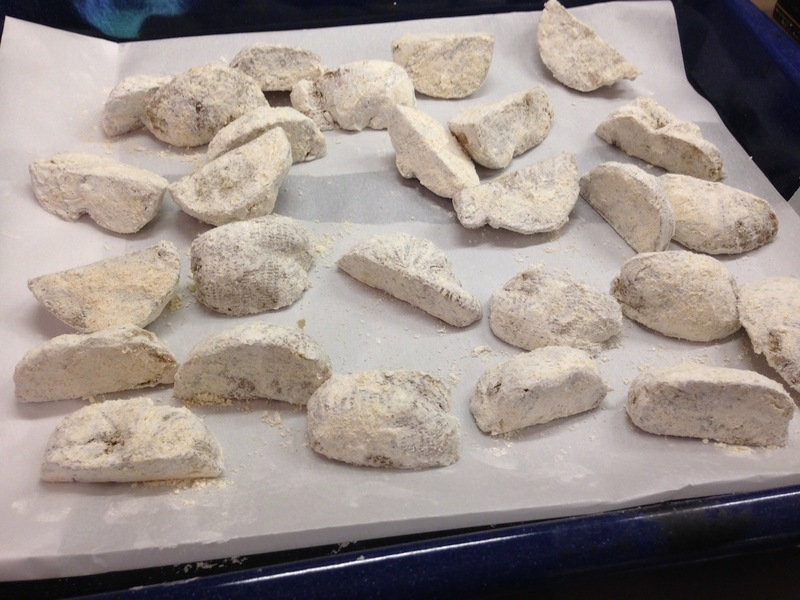 In a separate bowl combine corn starch, garlic powder, and onion powder. 13. 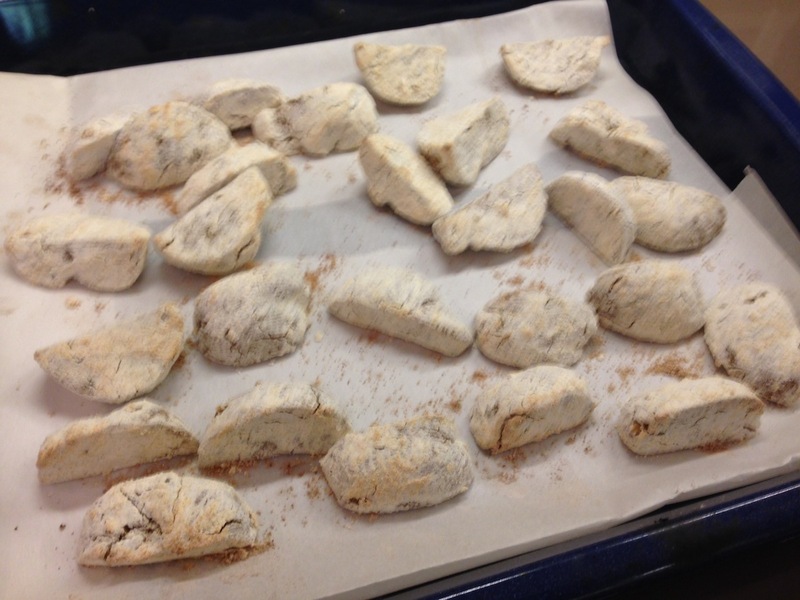 Coat each seitan quarter in dry mixture, then arrange on a parchment paper lined baking dish. Bake at 450 degrees fahrenheit (425 convection) until browned, about 15 minutes. 14. Coat the seitan wings in about 1/3 of a cup of BBQ sauce. Return pan to hot oven for another 10 minutes. 15. Remove from oven, resauce, then return to the oven for another 10 minutes. This may seem a bit redundant, but it’s an important process to develop a BBQ skin on the seitan wings. 16. Remove wings from the oven, and coat the wings with your final 1/3 c of BBQ sauce. Set the oven to broil, then place the wings in the middle rack of your oven. It will only take a coupe of minutes for the edges of the wings to blacken. You want this to happen, the charred edges add a nice flavor. However, you don’t want the entire surface to go black, so watch closely! 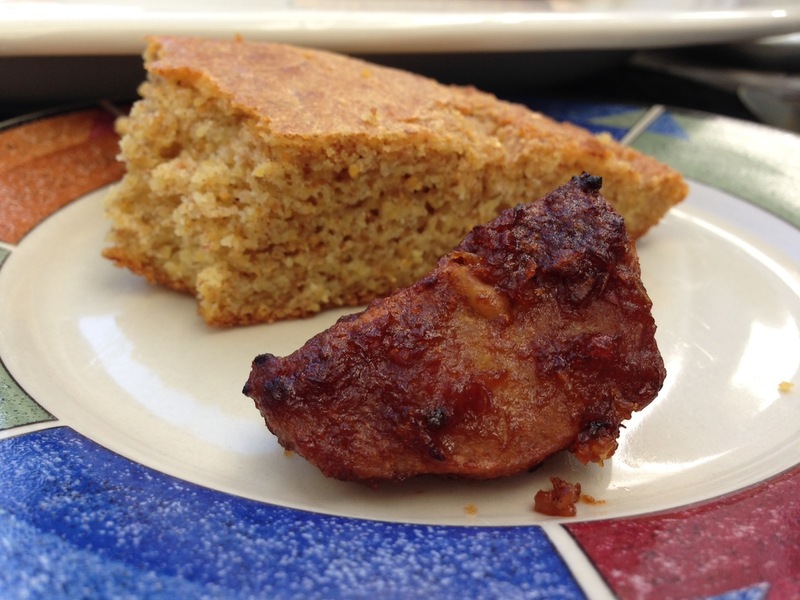 I like serving my wings with additional sauce, and some of my classic skillet corn bread! I’m curious, what’s the purpose of the beans, cauliflower, and tapioca starch in the Seitan? Is it a texture thing? Are all these ingredients necessary? Yes it is a texture thing. The tapioca starch makes it a bit stringy, the cauliflower adds chunks, and the beans lend to the moisture. I’d include the beans and cauliflower, and drop the tapioca starch if you’re looking to cut down the ingredients list. Hello! 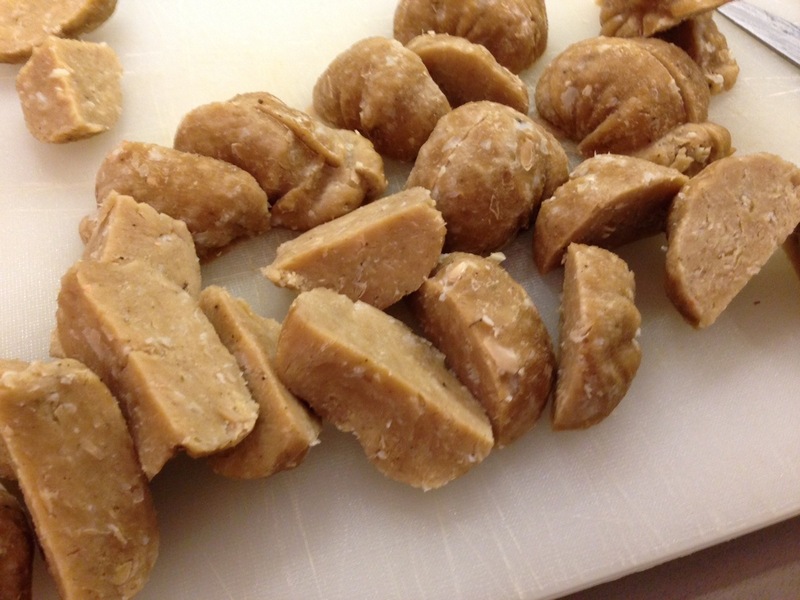 My seitan knowledge is fairly limited (other than I know that it’s delicious), but I’m curious if it’s possible to freeze these or alter the recipe so that they can be frozen and easily reheated in the event that you would want to make bulk amounts. Thanks! This is an extensive and tedious dish. Maybe it was the cooking while helping take care of two young kids. But none the less don’t even think about cooking this dish if time is not on your hands. With that being said I am quite pleased with the outcome. My grocery store didn’t have the no chicken bouillon but I used vegetable bouillon instead. And I didn’t have the poultry seasoning so I just threw together some of my favorite seasonings. Also, I played around with the BBQ sauce. I added ketchup and siracha sauce to it. Three hours later I am ready for bed…..
AND I just so happen to be an art student and to have cheese cloth even though it wasn’t in the ingredients section of the part that explains what you actually need. This would have ruined the whole dish if I was ill prepared. With that being said I could have done a better job and reading the entirety of the recipe before going to the store. I rate this dish an 8 out of 10. It is delicious.